Horacio and his family took flight from El Salvador to the US after receiving death threats from local gangs and found themselves caught up in the living hell of people smuggling. SAN SALVADOR: Horacio's family left El Salvador in 2016 following death threats from "maras", or gangs. His father, who ran a family business in the capital San Salvador, had received threats from a gang that was demanding money, and Horacio was being coerced into joining the criminal group. Because of what Horacio says was corruption in the Salvadorean police and prosecutor's office, and fear of being murdered as an informer, his family decided not to report the gang and took flight. 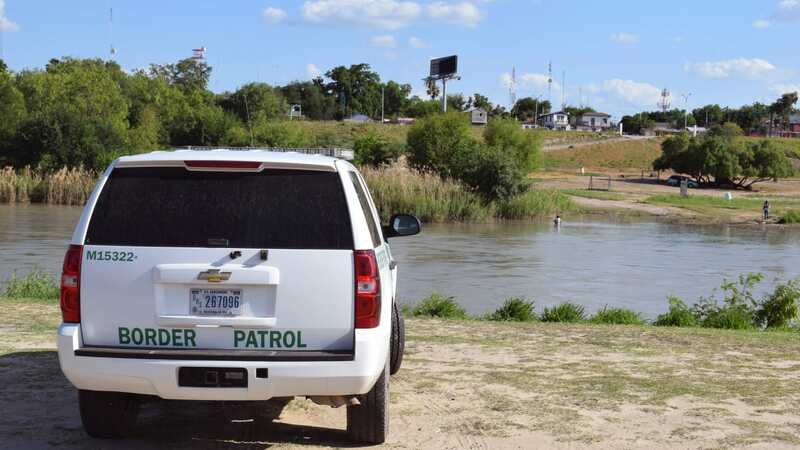 They started a journey that took them to the US through the most dangerous route - across the Rio Bravo river - during which a wristband and a codeword shielded them from the "narcos," or drug traffickers. Horacio, 19, deported and now alone back in El Salvador, recalls it was on a Thursday that he boarded a bus bound for Guatemala with his parents and two younger siblings to meet a "coyote" - a people smuggler - whom they had contacted through "acquaintances". 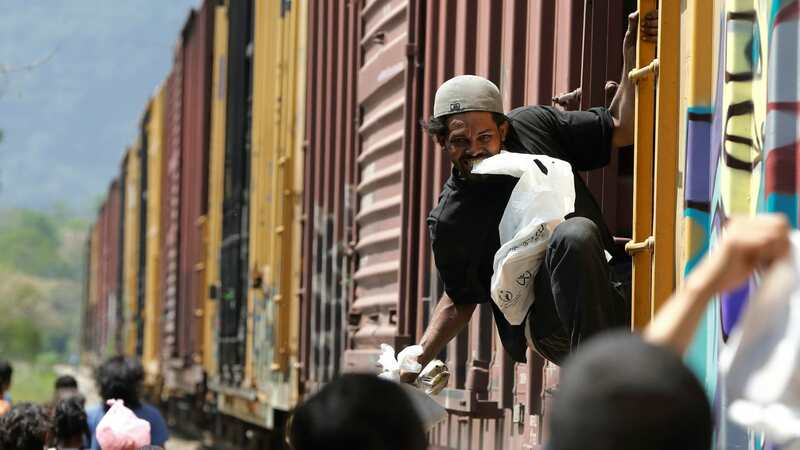 From there, Horacio and his family joined the flux of irregular migrants who cross Central America along routes often controlled by criminal gangs and drug cartels. Two days later, they crossed the border between Guatemala and Mexico, hidden inside a van, and reached Chiapas in southwestern Mexico, where his life fell into a pattern of journeys in stifling trucks, hiding in safe houses and battling hunger and thirst. "In each house we arrived at, there were people from different countries ... we slept on the floor on dirty, worn-out mats with insects," he says. When they were moved it was at night, with police checkpoints bribed to leave the way open. Horacio tells how for hundreds of miles they were "huddled inside vans, we could not stop. We could only urinate if we had a bottle, if we needed to defecate we had to hold it in". During their exodus Horatio recalls having a stone smashed into the windshield of their trailer and a revolver brandished in front of him. Beaten, mistreated and robbed, Horacio, his family and another three migrants were pushed into a pickup truck which took off to an unknown destination. A chance mechanical breakdown and the "miraculous" appearance of a police patrol freed them from the kidnappers, who fled. Horacio's mother told the police the family could not return and asked "the huge favour" of letting them move on. One of the officials "told us they were going to give us an opportunity by not handing us over to Migration, but leave us at a (bus) terminal so that we could go where we had to go," Horatio says, insisting that they did not have to bribe them. At the terminal, another guide arrived who took them to a safe house where they spent several days. The driver who was supposed to take them to Monterrey disappeared with the money. "I did not trust anyone by then ... we had not eaten, we were dehydrated, without sleep, there were children crying, it was a torment for us. We were afraid they would come to kidnap us, or the 'federales' would come and deport us," he says. The "coyotes" sent another guide to resume their journey, at times in a trailer, but also several hours on foot, until they reached Monterrey, through a region considered a "red zone" because of clashes between the Los Zetas gang and the Cartel del Golfo drug traffickers. "They give you a wristband and a codeword" to cross this maximum risk zone, so that the cartel, under whose protection they move, may recognise them," he says. "If you do not wear this wristband or do not have the codeword, the same drug traffickers will kidnap you and make you disappear." A Monday night in Reynosa, in the state of Tamaulipas along the US border, was the last time Horacio saw his father and younger brother. They were the first ones to cross the Rio Grande. Two days later, after getting the "green light" from the head of the local gang and dodging a surveillance drone, Horacio, his mother, and his little sister set afloat on a raft across the greenish waters of the river. "When we crossed and a sheriff's deputy arrived I thought all this ended here, but I did not know that another phase, a more difficult one for me and my family, was coming," he says. Separated from his family, Horacio was put in a prison in the US. The rest of the family was released on bail and will know within a year if they have been granted asylum. Because he was of a legal age, Horacio did not receive this benefit and agreed to be deported to El Salvador, a month and a half after having first escaped from the "maras." "I could have stayed here behind bars for months and months, without gaining anything, so I returned, aware of the risk that awaited me here. It is difficult to be alone, without my family," Horacio says. He now hopes that his family gets asylum and the judge includes him too.